What requirements do I need to have? Posted by mfpducts on Nov 14, 2015 in | Comments Off on What requirements do I need to have? Basically a computer, laptop or any device that will connect to the internet . Also you need to have the right mindset, motivation and drive to succeed. Posted by mfpducts on Nov 14, 2015 in | Comments Off on Do you offer coaching services? Yes absolutely. I have extensive experience in coaching people in starting up their home based business. Just go to the Contact tab and select Appointment and book the relevant service you are looking for. Posted by mfpducts on Nov 14, 2015 in | Comments Off on What experience do you have? 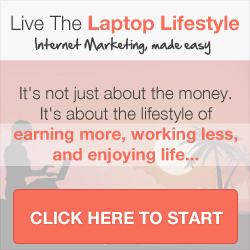 I have been working in the home based business industry for 20 years and have been online since 2006. What poducts can I sell? Posted by mfpducts on Nov 14, 2015 in | Comments Off on What poducts can I sell? You can sell your own products that you may have or become an affiliate to sell other peoples products. This applies to both physical and digital products. Posted by mfpducts on Nov 14, 2015 in | Comments Off on How do I make an appointment with you? Easy just go to the Contact tab and select the “Appointment” option. You will be taken to my appointment system where you can book a call to suit your schedule.